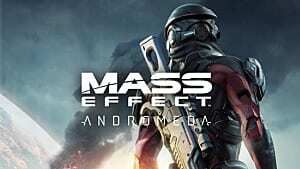 Having followed Mass Effect: Andromeda since its announcement at E3 2015, there really hasn't been much about the game that's stood out to me -- nothing that's really piqued my interest in its world or characters. 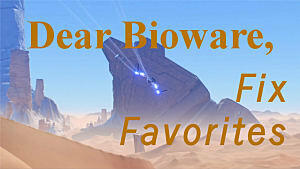 ME:A just looks like more Mass Effect, for better or worse. 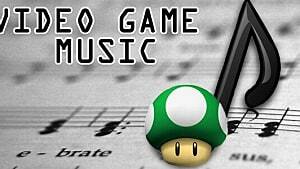 But one thing's for sure, if you're a fan of the series, there's going to be plenty to love about ME:A, especially in the game's multiplayer mode. 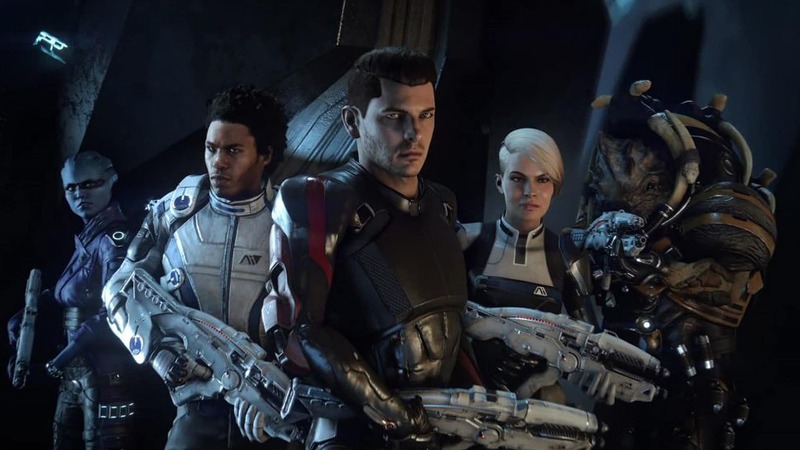 Although I was only able to spend about 15 minutes with the game's cooperative multiplayer at PAX East, I can tell you this: Mass Effect Andromeda is Mass Effect 3, but leagues better when it comes to action shooting and combat. And what I did get to play at PAX was the one thing I'd been looking for to incite my interests for this brave "new" world. 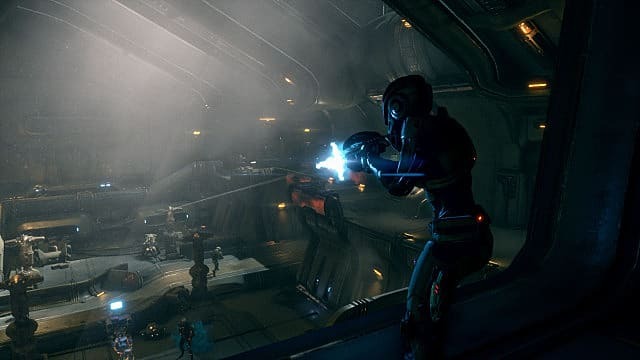 Mass Effect: Andromeda is a blast to play -- at least when you're slaying wave after wave of intelligently belligerent minions with your friends. Here's a quick rundown of what I learned. 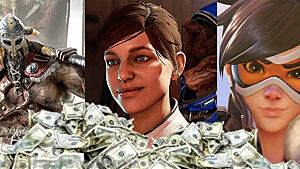 We already know that we're getting at least two new alien species in Mass Effect: Andromeda's expansive universe -- the Kett and Angara. But ME:A will also broadly represent the series' more established races, too. 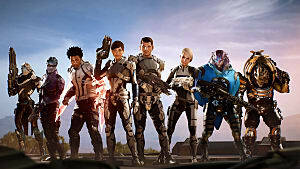 Playing off the diversity of Mass Effect 3's multiplayer, here are the confirmed races and classes you'll be able to play as in the ME:A's multiplayer modes. The Human Kineticist is defensively weak, but she makes up for it on offense. Focused on bionics, the Human Kineticist deals huge amounts of damage via telekinesis and a powered-up state. The Human Vanguard blinks across great distances, hitting enemies at point-blank range while dealing high damage. The Human Adept is a fleet-footed light-armor specialist who focuses on crowd control and dealing widespread damage via his varied power set and weapons loadout. The Human Sentinel is a versatile defensive combatant. Using sturdy tech armor and an expert power set, this soldier can be tough to deal with on the battlefield. The Human Soldier is a combat veteran capable of wielding myriad weapons in many different situations. 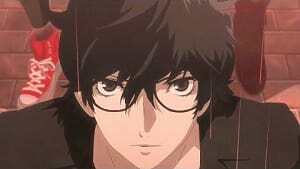 He wears heavy armor and is deadly at any range. The Krogan Vanguard relies on brute force and biotics to deal point-blank damage to his enemies. The Krogan Engineer relies upon explosives and technology to overwhelm his opponents. He can also employ AOE mechanics for increased damage. The Asari Huntress relies on mobility and stealth, alongside technology and biotics, to bring down her enemies. The Asari Duelist is a lethal and well-rounded warrior who wields a sword and powerful abilities. She is highly mobile and sports high offensive and defensive stats. The Asari Sentinel relies on her expert knowledge of defense to strategically move about the battlefield. On top of that, she is also an expert in tech armor, while also wielding a power set that is flexible and versatile. Moving around the battlefield in ME:A's multiplayer is super easy this time around. Need a boost out of a sticky situation? You're covered. 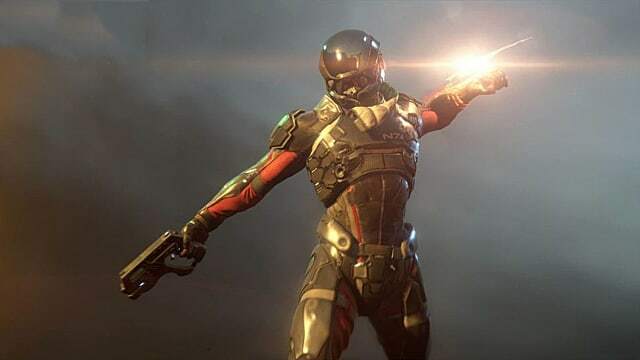 Jet packs make their debut in Mass Effect: Andromeda to pomp and excitement. Well, at least my excitement. Why? Because they add verticality to any and every combat situation and a realism that's frankly been missing from this futureverse of hyper-tech since its inception. Think about it: We've got interstellar travel but we can use a measly jet pack? Anyway, I digress. Unlike in Mass Effect 3, where combat movements such as dodging and rolling, flanking and retreating often felt sluggish and, honestly, a bit unnatural, the jet pack adds life and depth to ME:A's defensive pirouette. 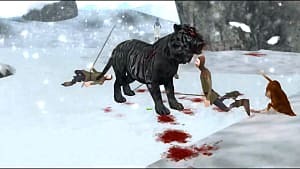 Before, jumping was often arrested to contextual situations in both the single and multiplayer modes -- but now, players have full control of jumping and can use it as a means to quickly evade enemy fire. The jet pack amplifies this autonomy. You'll have more opportunities to gain the tactical advantage over your enemy. For example, you can now hover over the battlefield unobstructed, raining hot, molten lead upon your enemies from above. 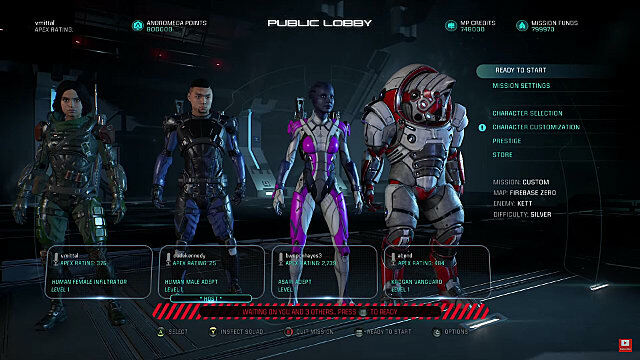 It's a subtle wrinkle to the typical Mass Effect multiplayer formula, but one that has a profound effect on player strategy. With the jet pack, players are able to glide fluidly from cover to cover, from flank to flank, deftly capturing objectives and saving their teammates from certain death. So we've already talked about how the jet pack increases and affects player stratagem in ME:A's multiplayer. But something else that takes this to the next level is the fluidity and ease of combat in general. Playing with a controller, the controls felt tight and responsive. It helped immensely that quick commands like revive, first-aid, and ammo replenish were smartly mapped to the controller's D-pad for easy recall and use. On top of that, aiming down the sight and hip-firing felt natural. I found that short bursts worked perfectly for the assault rifle wielded by my Human Soldier, and that his frag grenade was devastating to most enemies in Survival Mode. To be honest, combat in ME:A isn't leagues better than that found in Mass Effect 3. 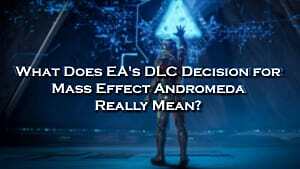 However, the combat here is a refinement of that combat, the next logical progression in the Mass Effect formula that takes the series to a new height without alienating core fans. Objective-based Survival Mode is back and fiercer than ever, with seven tough waves of enemies and goals. And in my time with the mode I found that the biggest improvement to combat, especially when faced with hordes of bad-tempered baddies breathing down my neck, was ME:A's new dynamic cover system. No longer do players have to fight with the D-pad to take cover in the middle of a firefight. Instead, they can immediately take cover behind any object simply by walking or running up to it. I specifically found this mechanic freed me up to make more strategic flanking and combat decisions because I was immediately able to take cover and focus on zeroing in on my target, which led to kill after kill. From what I've seen of Mass Effect: Andromeda, I'm more excited than I ever was to get my hands on it when it launches later this month. Only time will tell if the story and multiplayer hold up to objective scrutiny, but I can confidently say that ME:A's multiplayer, bundled with jet packs and the new dynamic cover system, is easy to pick up and fun to play. 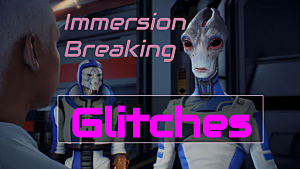 Stay tuned to GameSkinny for more coverage on Mass Effect: Andromeda.